Kuidas mõjutavad liikumisvalikud indiviidi kohalolu ja teda ümbritsevat ruumi? Kuidas me liikumisega suhestume ja teatud liikumisi teistest eristame? Kas teatud liikumisviisid on tuttavamad ja teised ebaselgemad? Aga mustrid? Mis teeb tantsust tantsu? Töötoas uurime erinevaid liikumisviise meelte, taju ja kuulamise kaudu oma ainulaadselt, isiklike vajaduste ning kirgedega kehalt õppima õppides. Vaatleme end tähelepanelikult, et tuvastada ja omaks võtta tuttavaid ja tundmatuid ruume. Määratlemata kehalise väljenduse uurimine tantsus on olnud mu isikliku tantsupraktika käivitav jõud, peamine uurimisküsimus ja inspiratsioon. Olles üha enam veendunud, et liigutuse jäljendamine ei ole väga kasulik ega isegi võimalik, on ka Mary Overlie uurinud, kuidas arendada avaliolekut tajumisele, mitte niivõrd tootmisele. See teema huvitab mind sügavalt tänu kokkupuutele mitmete inspireerivate tantsukunstnikega (Lisa Densem, Sonja Pregrad, Rosalind Crisp) eksperimentaalselt tantsuväljalt, mis rajab teed uudishimulikule, küsimärgi all liikuvale kehale. Viltė Švarplytė on Leedust pärit tantsukunstnik. Oma tantsuhariduse omandas ta Šoti Kaasaegse Tantsu Koolis (Scottish School of Contemporary Dance) ja Anton Bruckneri Muusika- ja Teatriakadeemias Austrias (Anton Bruckner Privatuniversität). Tantsukunstis huvitub ta keha intuitiivse võimekuse uurimisest liikumismaterjali loomiseks. Viltė on algatanud ja osalenud mitmetes erisugustes loomepartnerlustes, luues erinevate taustade ja eri kunstivaldkondades tegutsevate inimestega üllatuslikke ja arenevaid tantsulavastusi ja -etendusi. 2017. aastal osales ta aastases stipendiumiprogrammis Viini kaasaegse tantsu keskuses Tanzquartier. Hetkel arendab Viltė oma kunstilist ja pedagoogilist tantsutööd Leedus. How does one or another choice of movement shift the individual’s presence and the whole space around? How do we relate to and identify certain movements from the others, are there more familiar ones and more obscure ones? What about patterns? What makes a dance a dance? We will investigate these different ways of moving through sensing, perceiving, listening and learning to learn from our unique body with its own needs and passions. We will attentively observe to trace and embrace the spaces of familiarity and the spaces of unknown. In the first half of the workshop I will invite you to a somatic based investigation of the body, gradually leading to a more dynamic improvisation exercises to attentively open up to the space and the bodies around us. Thus, to encourage ourselves to enter into a particular way of being, sensing and perceiving the moving body(ies)in space with a specific focus in order to investigate the ever changing and evolving body manifesting its natural state of transformation. Second part will be dedicated to the practice of movement research based on particular tasks for enhancing, tracing and documenting individual unexpected and authentic movement choices. What about if we become an observer rather than an owner of bodies’ expression possibilities? We will question what happens when there are eyes looking at us when we dance and what kind of presence, ways of being can be created in order to allow individual and collective magic happen in a space of performance. I would like to invite you to explore together the profound and sometimes mysterious trust in the dancing bodies of ours, as according to Croatian dance artist Rajko Pavlic ’’after all dance has its own intuition”. *The approach for the searching for an undetermined bodily expression in dance has become a driving force, a major concern, investigation and inspiration in my dance practice. Being more and more convinced that copying the movement is not very useful and as Mary Overlie says not even possible, she questions how to develop availability to sense rather than to produce. This particular topic deeply interests me, thanks to the various threads of inspiration I had opportunity to pull out deeper or just touch slightly with dance artists(Lisa Densem, Sonja Pregrad, Rosalind Crisp) coming mostly from an experimental dance scene paving way for curious moving body with a question mark. 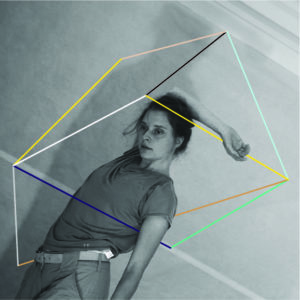 Viltė Švarplytė is a Lithuanian born contemporary dance artist. She gained her dance education at Scottish School of Contemporary Dance and at the Anton Bruckner Univeristy in Austria. In her artistic practice she is particularly interested in exploring body’s intuitive capacities to generate movement material. Viltė has initiated and has been part of projects of diverse exchange, with people coming from various backgrounds and artistic fields creating unexpected and evolving dance performances. In 2017 she took part in a one year scholarship program in a contemporary dance center Tanzquartier Wien. Currently Viltė is based in Lithuania elaborating her own artistic and pedagogical work.